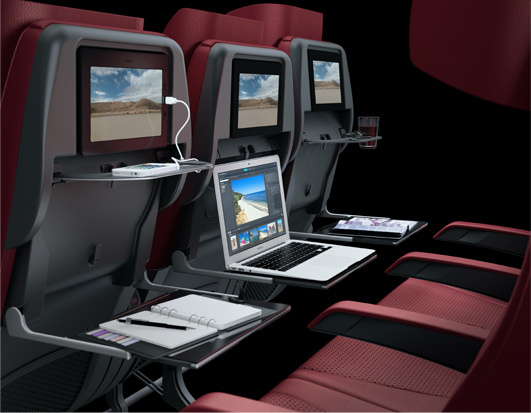 quadra is a next-generation economy class seat platform that combines ample passenger space, such as what you would find in premium economy, with a lightweight, durable structure. Thanks to kinematics and a unique design, quadra lends the cabin a high-tech look and provides passengers an unparalleled amount of space, along with top-notch comfort. The product was tested in the Airbus A380 mockup center and subsequently refined multiple times. The test results are conclusive: passengers perceive that quadra provides about 35% more space than traditional recliner seats. quadra is not a fixed-back shell, and it is not a traditional recliner. 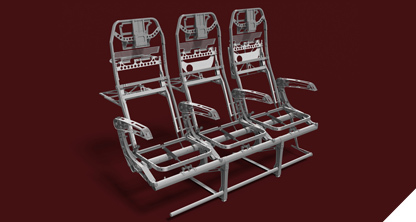 The patented mechanism lets passengers enjoy a greater recline than traditional seats, without intruding on the personal space of the passengers behind them. This was made possible thanks to a clever use of space and an innovative linked mechanism that moves both the seat pan and the pivot center of the backrest. 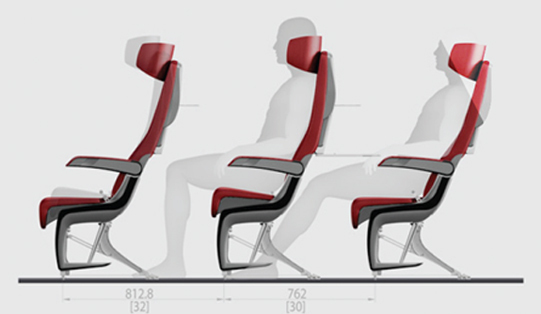 Scalable form reduces body width to the latest cabin developments for A380s, A350s and B787s. 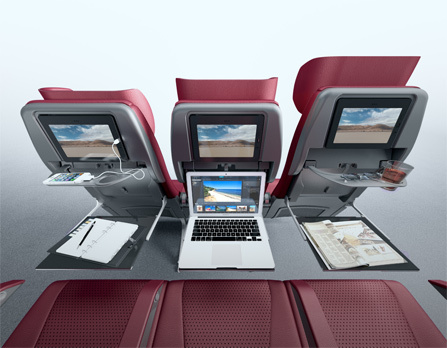 quadra's seat customization allows each airline to offer a unique set of features and design options that represent their brand and marketing strategies. 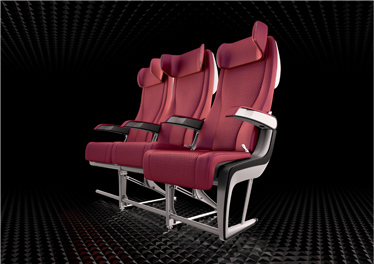 quadra's 19-degree recline system allows passengers to increase their personal space without encroaching on others. 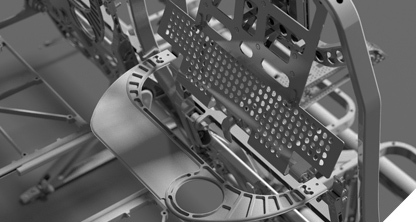 The key to quadra's differentiation is an extremely simple articulated movement system, which controls both the seat pan and the pivot center of the backrest. As your seat cushion slides forward, rather than hindering the passenger behind you, you actually free up space. In fact, we identified key points that must remain unencumbered in order to preserve a sense of personal space: shin clearance, the area around the knees, and the tray table.